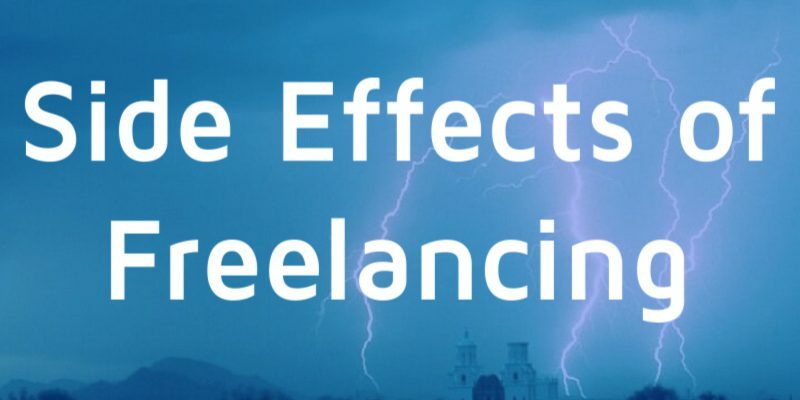 Freelance work has some challenges, working freelance as a digital nomad even more. Coworking helps solving a lot of those, as a coworker from San Francisco confirmed at the last digital nomads meetup at bedndesk*. I also gathered some experiences I’d like to share with you. 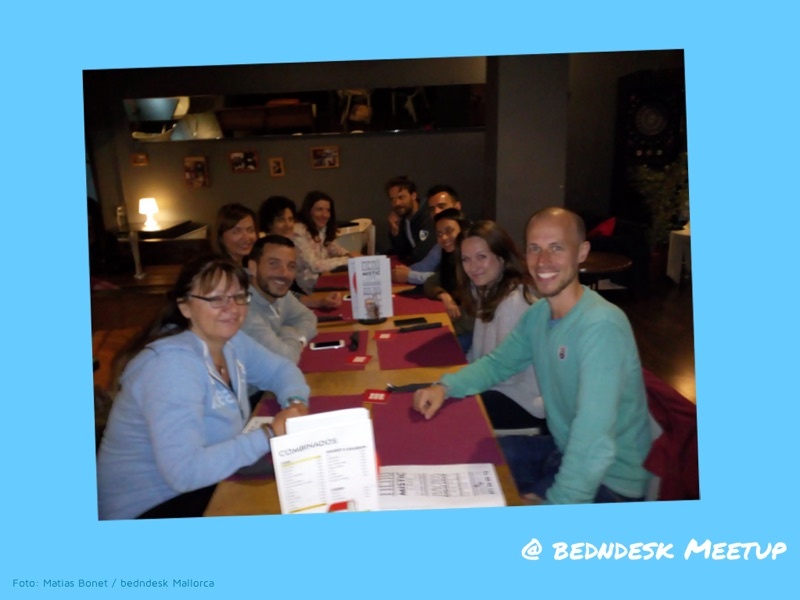 To exchange perspectives, about 20 people met for „Startups and Future of Work, Daysk and Happyforce“. This time I went on my own, as none of our coworkers had time to join me. Exactly after coworking host Matias‘ introduction I arrived at s’Arenal. Then three guys – Ben and Julien from Daysk, and Dani from Happyforce – started the discussion. They explained how they worked before as employees, how they worked as freelancers, and how they now organize working at their startup –respectively how Dani works in a company which gives employees a great range of flexibility. After a short while everybody else joined the discussion and shared their experiences. Almost all of them mentioned that despite clever communication tools at work, you loose a feeling for your colleagues. Working remotely you are unable to recognize their moods, or you won’t sense if they are not feeling very well. For example, you write an email asking for some support, your colleague replies to you in an aggressive tone – and you have no clue what happened as this colleague is usually very helpful. But maybe your colleague is developing a bad cold and tries to get her/his work done. And that may trigger that unexpected reaction – just because you don’t see the person in real life. None of sometimes useful gossip will get through to you either. And in case you are the only person working remotely: Be prepared to be forgotten by your colleagues after a while. They don’t mean it, but it happens as you are the only person not being present. So it is in your interest to make your colleagues think of you from time to time. When switching from working at a company to working from home, one of the participants had a great time. As a programmer the day was structured the way he wanted, the fridge was full with drinks and food to cook meals… After a while he realized, „Good heavens! I did not leave my apartment for days!“ I feel socially isolated. So he started to work from a coworking space – and fell in love. There he works on his own, but in his coworking space he gets to know so much creativity in the professional world, he never imagined before. His recommendation: Join a space with different kind of coworkers, not just programmers, as this proofed to be very helpful. One of the participants told us about the time when he moved to the home office as a freelancer after an employee’s life. He was enthusiastic but then he realized: There was alread somebody working from home. His wife. She is a creative web designer with a free division of her working day. For years, she was not accustomed to someone else in her work environment. And he was so enthusiastic about the new way of work that he wanted to talk about it, or get her opinion. Recommendation: If you switch to freelancing, and your partner already works from home: try working from a coworking space. A digital nomad from San Francisco just discovered how enriching coworking is for her, too. Before that, she had been touring the world for three years – trying to work from cafés or hostels. But most of the people she met there were in their early 20ies; and on holidays. However, she is on workation – work and vacation. Quite recently she discovered coworking spaces for herself and is simply thrilled – about the productive working atmosphere as well as the coworking community into which she may dive in. And that also describes my feelings quite well: It’s always a pleasure to connect with coworking communities in other spaces. Thanks to Matias for organizing the regular digital nomads meetup! And a thank you to the participants who shared their experiences so frank and open. Until next time / hasta la próxima! 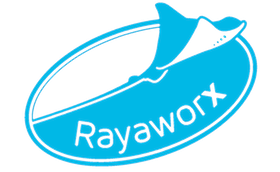 RaynaCast 04 – Die 4-Stunden-Woche Coworkation: Was ist das, wer macht das?